Who Are the Out-of-Town Billionaires Trying to Defeat Steve Zimmer? Some of America’s most powerful corporate plutocrats want to take over the Los Angeles school system but Steve Zimmer, a former teacher and feisty school board member, is in their way. So they’ve hired Nick Melvoin to get rid of him. No, he’s not a hired assassin like the kind on “The Sopranos.” He’s a lawyer who the billionaires picked to defeat Zimmer. The so-called “Independent” campaign for Melvoin — funded by big oil, big tobacco, Walmart, Enron, and other out-of-town corporations and billionaires — has included astonishingly ugly, deceptive, and false attack ads against Zimmer. This morning (Friday) the Los Angeles Times reported that “Outside spending for Melvoin (and against Zimmer) has surpassed $4.65 million.” Why? Because he doesn’t agree with the corporatization of our public schools. Some of their donations have gone directly to Melvoin’s campaign, but much of it has been funneled through a corporate front group called the California Charter School Association. As a result, the race for the District 4 seat — which stretches from the Westside to the West San Fernando Valley — is ground zero in the battle over the corporate take-over of public education. The outcome of next Tuesday’s (May 16) election has national implications in terms of the billionaires’ battle to reconstruct public education in the corporate mold. The contest between Melvoin and Zimmer is simple. Who should run our schools? Who knows what’s best for students? Out-of-town billionaires or parents, teachers, and community residents? Before examining just who these corporate carpetbaggers are, let’s look at who Steve Zimmer is, what he’s accomplished, and what he stands for. Zimmer grew up in a working class community and attended public schools. His father was a printer and his mother was a school teacher. After college, he became a teacher, beginning with Teach for America in 1992. He spent 17 years as a teacher and counselor at Marshall High School. When he taught English as a second language, he used an experiential approach that related to his students’ daily lives. He created Marshall’s Public Service Program to make public service intrinsic to the student experience. He founded Marshall’s Multilingual Teacher Career Academy, which was an early model for LAUSD’s Career Ladder Teacher Academy. To help address the concerns of at-risk youth, he founded the Comprehensive Student Support Center to provide health care services for students and their families. He helped create the Elysian Valley Community Services Center, a community owned-and-operated agency that provides after-school, recreational and enrichment programs, a library, and free Internet access. He was elected to the school board in 2009 and re-elected in 2013 despite the onslaught of billionaire bucks against him. What are some of Zimmer’s most important accomplishments on the school board? • Improving student success. Zimmer’s leadership helped increase local graduation rates into their highest level ever. LAUSD schools achieved across-the-board improvements in state testing and all measurable forms of student achievement. • Balanced budgets. As school board president, Zimmer helped bring LAUSD’s budget into balance while simultaneously increasing funding to the classrooms. Zimmer helped lead the fight to get Congress to pass the Education Jobs Bill passed, which provided LAUSD with $300 million. He has fought for increased federal Special Education funding. He championed Proposition 30 and its extension, Proposition 55, which added more school funding for LAUSD. His stewardship has paid off. LAUSD has been awarded the highest credit rating of AAA. • More schools, more opportunities. As a result of Zimmer’s leadership and in response to parent interest, LAUSD has added many more magnet schools, STEM programs and dual immersion language programs. • Restoring arts education. Zimmer worked to restore arts programs not just in some schools but in all schools. He believes access to arts education needs to be a right for all students in every community. It is an essential component to a well-rounded education. Since he’s been in office, arts funding has increased by $18 million dollars and the Arts Equity Index that he championed, now ensures resources where they are needed the most. • Protecting vulnerable students. As a school board member, Zimmer has been the leading advocate for vulnerable students. He authored the school board resolution in support of the Dream Act, federal legislation that would provide a path to citizenship for undocumented students who do well in school and attend college. He authored the resolution ensuring schools are safe zones where students and families faced immigration enforcement actions can find safety and seek assistance and information. He helped create Student Recovery Day, a twice-yearly event that takes scores of district staff into students’ homes to support students who have dropped out. Hundreds of students have returned to class after being sought out and connected with the support services they need. He has ensured that the school district supports the needs of students living in poverty, students facing trauma, special education students, undocumented students, LGBT students, English Learners, standard English learners and foster children. • Healthy food. Zimmer’s commitment to making sure students eat healthy meals is unparalleled. His Good Food Purchasing resolution has been a model around the country for making sure student lunches have met the highest nutritional, environmental and animal welfare standards. Nick Melvoin is the candidate completely sponsored by the 1 percent. His extreme lack of experience clearly doesn’t bother them. Melvoin is so devoted to the corporate agenda for our schools that he claims a“hostile takeover” is needed. Who are some of the billionaires and corporate lobby groups that want to defeat Steve Zimmer and elect Nick Melvoin? • Members of the Walton family (Alice Walton, Jim Walton, and Carrie Walton Penner) ― heirs to the Wal-Mart fortune from Arkansas ― have contributed $2.2 million to the PAC attacking Zimmer in the last two years. 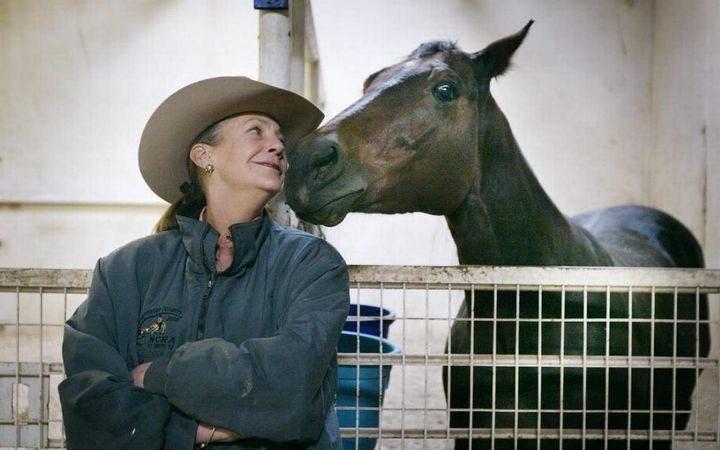 Alice Walton (net worth: $36.9 billion) lives in Texas and is one of the biggest funders behind Melvoin’s campaign. She and other members of her family also donated to the Super PAC that worked to elect Donald Trump, donated to Mike Pence, Jeff Sessions, and to the Alliance for School Choice, an organization that Trump’s Education Secretary Betsy DeVos helped to lead. • Oil and Enron executives from Texas and Oklahoma have contributed more than $1 million to the same committee. • JOBSPAC — a PAC “largely funded by oil and tobacco companies,” according to the Los Angeles Times – contributed $35,000 to the same committee funding the attacks on Zimmer. • Doris Fisher, co-founder of The Gap who has a net worth of $2.7 billion, has given $4.1 million to the California Charter School Association’s political action committee in 2015 and 2016. She lives in San Francisco. • John Arnold made a fortune at Enron before the company collapsed, leaving its employees and stockholders in the lurch. Then he made another fortune as a hedge fund manager. His net worth is $2.9 billion. He and his wife Laura donated $1 million last year to CCSA’s political committee and $4400 directly to Melvoin. They live in Houston, Texas. • Jeff Yass, who lives in the Philadelphia suburbs, has given the maximum allowed contribution to Melvoin. He runs the Susquahanna group, a hedge fund. He has close ties to Betsy DeVos’ efforts to privatize public school. Yass donated $2.3 million to a Super PAC supporting Rand Paul’s presidential candidacy. • Frank Baxter and his wife Kathrine donated $100,000 to CCSA’s political committee in the past two years and $3,300 directly to Melvoin. Frank Baxter is former CEO of the global investment bank Jefferies and Company that specialized in “junk” bonds. He is a major Republican fundraiser and was appointed ambassador to Uruguay by George W. Bush. He is one of at least five donors to Melvoin’s campaign who sit on the board of charter schools. He is also a big financial backer of Republicans like House Speaker Paul Ryan, Wisconsin Gov. Scott Walker, Cong. Devin Nunes of California, and Cong. Steve King of Iowa (a Tea Party favorite). What do these corporate moguls and billionaires want and what has Zimmer done to make them so upset? They want to turn public schools into educational Wal-marts run on the same corporate model. They want to expand charter schools that compete with each other and with public schools in an educational “market place.” (LA already has more charter schools than any other district in the country). They want to evaluate teachers and students like they evaluate new products — in this case, using the bottom-line of standardized test scores. Most teachers will tell you that over-emphasis on standardized testing turns the classroom into an assembly line, where teachers are pressured to “teach to the test,” and students are taught, robot-like, to define success as answering multiple-choice tests. Not surprisingly, the billionaires want school employees — teachers — to do what they’re told, without having much of a voice in how their workplace functions or what is taught in the classroom. Rather than treat teachers like professionals, they view them as the out-sourced hired help. Like most reasonable educators and education analysts, Zimmer has questioned the efficacy of charter schools as a panacea. When the billionaires unveiled their secret plan to put half of LAUSD students into charter schools within eight years, Zimmer led the opposition. Zimmer isn’t against all charter schools but he doesn’t want the board to rubber-stamp every charter proposal. He wants LAUSD to carefully review each charter proposal to see if its backers have a track record of success and inclusion. And he wants LAUSD to hold charters accountable. This kind of reasonable approach doesn’t sit well with the billionaires behind their front group, the California Charter School Association. Zimmer has also questioned the over-reliance on high-stakes standardized testing as the primary tool for assessing student and teacher performance. Testing has its place but it can also become an excuse to avoid more useful and holistic ways to evaluate students and teachers — and to avoid the “teach to the test” obsession that hampers learning and creative teaching. Zimmer has called for — and helped negotiate the deal for — some portion of teacher evaluations to include test scores. But that’s not what the billionaires want. As a former LAUSD teacher with 17 years in the classroom, Zimmer respects teachers as professionals. He understands the jobs and frustrations of teaching. He wants LAUSD to create schools that are truly partnerships between teachers, parents, students and the district. He is often allied with United Teachers Los Angeles, but he is nobody’s lapdog. He has always been an independent voice and has disagreed with UTLA on some significant matters. 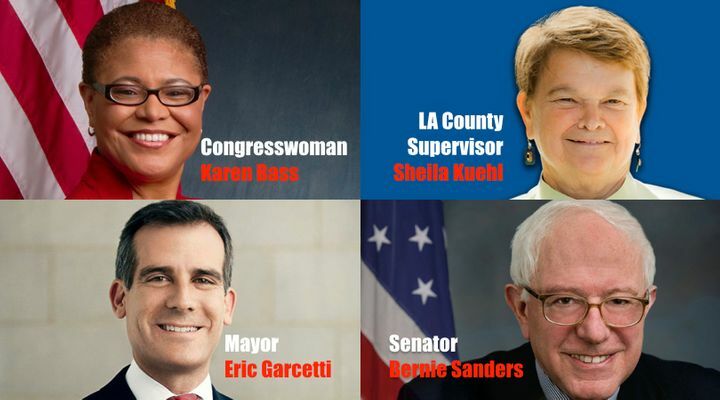 Zimmer is endorsed by many LAUSD parents and community activists as well as Mayor Eric Garcetti, Senator Bernie Sanders, Congressmembers Karen Bass, Judy Chu and Maxine Waters, City Attorney Mike Feuer and the Councilmembers serving the neighborhoods in his 4th School Board District. At the state level, State Superintendent Tom Torlakson, Secretary of State Alex Padilla, State Controller Betty Yee, Senate President Pro Tem Kevin De Leon, and Assembly Speaker Anthony Rendon have all endorsed Zimmer. At the County level, he’s backed by Supervisors Hilda Solis and Sheila Kuehl along with former Supervisor Zev Yaroslavsky. Melvoin’s campaign and backers have outspent Zimmer by a huge margin. Their battle has turned into a remarkable David vs. Goliath contest. But let’s recall who won that Biblical battle. Goliath had the big weapons but the feisty David had the slingshot. That’s how Zimmer beat another hand-picked billionaire-backed candidate four years ago, with a grassroots campaign that relied on parents, teachers, and neighborhood residents, and he’s hoping to do it again next Tuesday. Reposted from Huffington Post at the author’s request.